Luscious Lips Live! Contest: Entry #6 - Divassence! 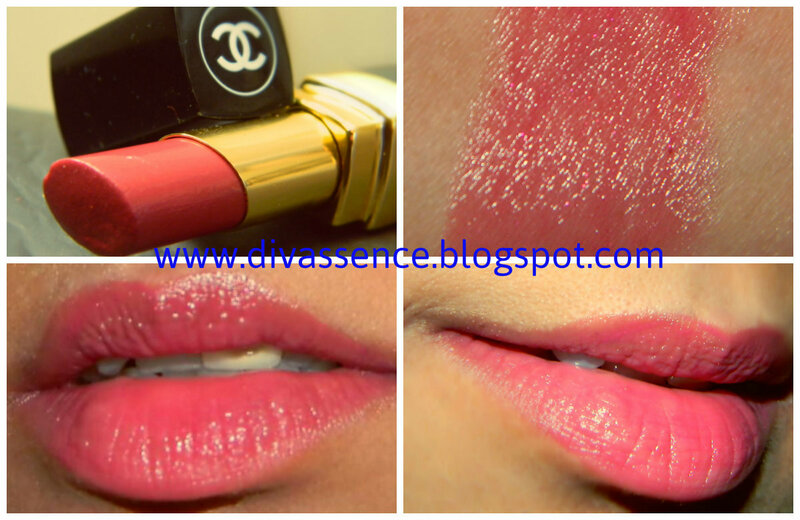 This is Chanel Rouge Coco Shine 60 Antigone, Its a very sheer berry almost raspberry colored. It has an amazing moisturizing feel to it. More of a lip balm texture. The color is very fresh, dewy looking. Has very subtle raspberry shade shimmer in it, which infuses well will the skin with being too obvious, pretty wearable in day as well as at night. (probably this is why i like both Dior and Chanel lipsticks, very understated shimmer) .Instantly brightens up my face and lifts up my mood. I picked this at London Heathrow Airport while coming back from London, Last purchase from there. 30 GDP well spent.